At GBD, we aim for something different. We make buildings that work hard, like we do. Buildings that are honest, wise, and give out more than they consume. We make thoughtfully and artfully crafted spaces that are quiet, majestic solutions to real human problems—not the source of new ones. We focus all of our talent and experience on solving problems and creating better places for humans to be…more human. These are the buildings we want to make. These words inspire our work on a daily basis. We recognize that not just anyone can do what we do. We are unbelievably lucky to have a team that blows us away with their creativity and expertise. They are the heart and soul of our company. 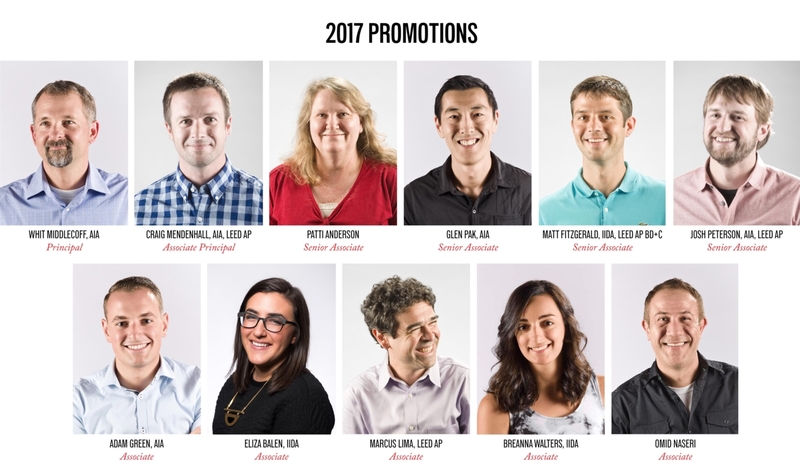 So, in honor of their exemplary work, we are thrilled to announce that the following employees have been promoted! The strength and experience of this team enables GBD to continue to look to the future in developing thoughtful, sustainable design solutions. We look forward to supporting them in their new roles.